Wanna be the best social networking dude among your entire group? Then this post is simply for you. Here are the top 10 social networking tips and tricks to boost up your popularity by widening your social network and to enhance your inter web appearance on the higher level. These tips and tricks make use of strategic thinking capacity and time-saving tools online to expand your effectiveness. Let your skies be already defined before doing any social networking activity. The engagement of your contacts and visitors on your activities defines the success of your social networking. KLOUT is also a good tool which may be used to track your impact on multiple social media networks. 3. Follow networks that follows’ you!!! There is at least something for each and every one among us available on the internet. Whatever may be your passion there is definitely some social platforms ready for you to rule over them. Try finding the one which suits you the best. For example if you love music, follow Last.fm, deviantart.com for artists. You may simply find your need by Google search. 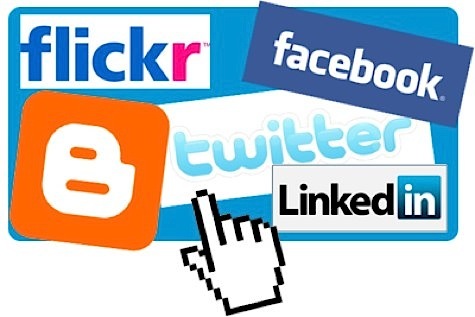 You may save your time by using some very famous tools available for social network management. Hoot Suite, for example, is a tool which manages your activities over several social networking sites. Let it be Facebook, WordPress, Twitter etc. This tool lets you reads messages, keep your posts ready, set timer to send some particular messages etc. A tool which is worth adopting. Asking questions is a good activity to be followed on a social networking site. The contacts in your follower’s list will be able to have a good visibility of yours. The question may be from any aspect of life, for example, “PIPA and SOPA, do you agree with them?” But don’t forget to answer each reply they give. Links are the most attractive and most effective happening over the social networking. You may add links on your wall posts, status updates, your tweets and other contents you follow. You can tag your friends also to have their attraction towards your page. Time-impact is also a big factor for you popularity. The Noon Eastern Standard Time is the time which differentiates two major users of social networking. American West Coasters are showing up for work, while East Coasters are starting lunch breaks. If you have got a smart phone, then simply switch to mobile apps for better access of your social contacts. This portable device is the most effective way to remain connected for a longer time throughout the day. Instagram is a popular mobile app which allows you to be in contact with your network very portably. You may share pics, our status updates etc. on different sites like, fb twitter etc. There are plenty of social networking tools available. You may redefine your web appearance by using a manual background concept. You may give a virtual lively appearance to your profile. For example you may use FACEBOOK TIME LINE. You may customize your twitter page also. Create a custom Twitter background to add more bio information and give your Twitter presence personality. Mytweetspace.com is the best place to install background of your choice. Once your network is strong enough, don’t let it go waste. In fact, to make a perfect use of your network, have a backup ready of your social data. For example, Facebook provides an option, “download your information”. Make use of these backup tools to have a backup of your activities. For Twitter, try a third-party tool like Tweet Stream or Tweet Scan. Enjoy your enhanced digital life, and let us know if you have something to share which can be of any use in social networking.